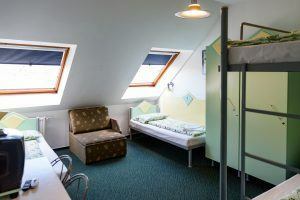 Live the Hostel life but stay in your private room! Might be the perfect solution when travelling with friends! 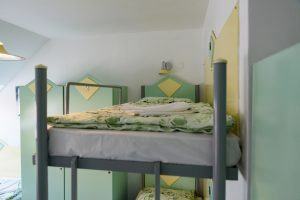 Get to know other travelers, reserve a bed in our 4-bed dormitory! Enjoy relaxing time with your friends or family in our quad room with private bathroom! 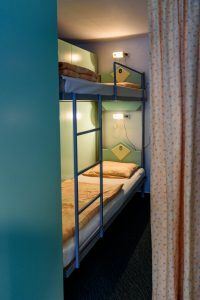 Get to know other travelers, reserve a bed in our 12-bed dormitory with separated personal space and own, large locker! 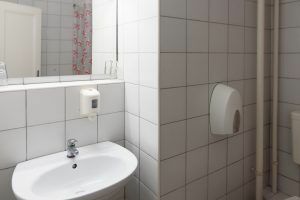 Get some rest after sightseeing Budapest in our single rooms with private bathroom! 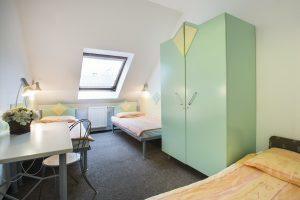 Get a rest after sightseeing Budapest in our twin rooms with private bathroom! Antonio C. 2019. March 25. 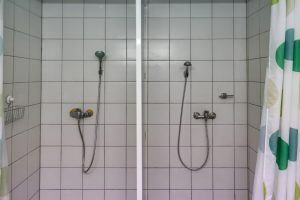 A very good accommodation with a very friendly and helpful staff. 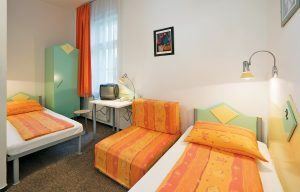 The Marco Polo Top Ho(s)tel is easily approachable because of its central location near Blaha Lujza Square. An exciting and youthful atmosphere, where new friendships are born. Because of the people in the ho(s)tel, you will get to know various cultures and their way of thinking on an international level. 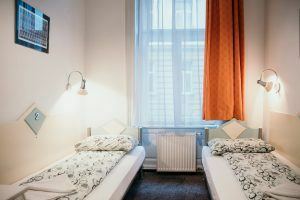 You can reserve a place for yourself or for a group you are traveling with for a very reasonable price in our two-, four or twelve-bed rooms. 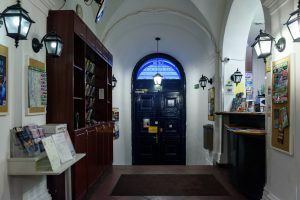 Budapest's party district is just a few hundred meters away, as well as the most famous ruin bars, bars, restaurants, so at night you can easily find your way back. 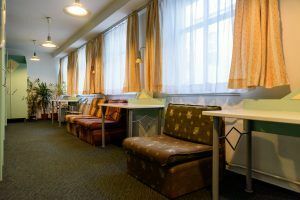 This is an eco- and energy-friendly ho(s)tel where you’ll find energy-saving light bulbs, water-saving taps and recycling facilities. In addition, we contribute space and money to various charity programs. 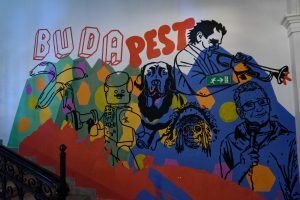 Experience the party district of Budapest! 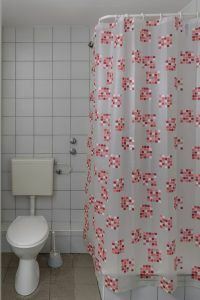 The hostel is located in the capital's party district, perfect for those who want to have fun. The seventh district of Budapest is famous for its ruin bars. 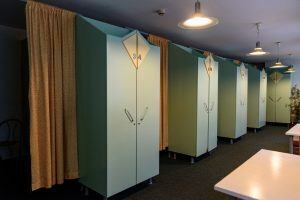 The retro feel and unique interior design are created by the unique, worn-out looking, one-of-a-kind furniture. 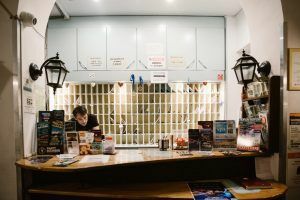 The ruin bars are not only a place for friendly meetings but also as a hangout for before and after cultural programs, theatre programs, concerts, and exhibitions. Nowadays there are a number of ruin bars to choose from, and there’s one that’s just perfect for you. 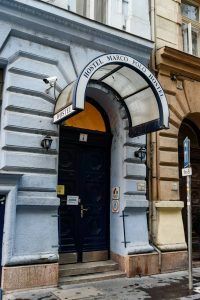 The Marco Polo Top Ho(s)tel can be found in the heart of Budapest, just a few minutes from Blaha Lujza Square on foot. Due to the central location, transportation is abundant. The M2 metro line, 4-6 tram and many buses help travelers to visit the sights of Budapest. Not to mention that you can reach these famous attractions on foot.